Silver Spring, Md. 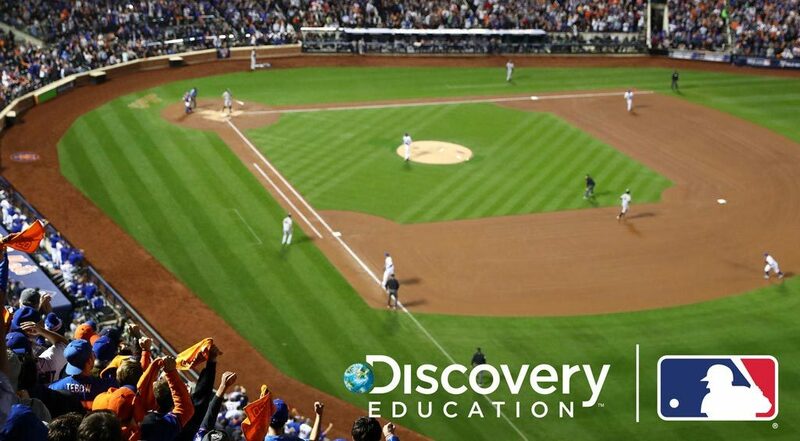 (January 15, 2019)– Major League Baseball(MLB) and Discovery Education, the leading provider of digital curriculum, content, and professional development for K-12 classrooms, today announced the launch of a new, multiyear partnership that brings Major League Baseball’s dynamic content into Discovery Education’sScience Techbooks. The partnership launched during a special event in the Baltimore County Public Schools’ Deep Creek Middle School, during which Nicole Sherry, Head Groundskeeper for the Baltimore Orioles,worked alongside area students as they analyzed turf samples taken from Baltimore’s Oriole Park at Camden Yards. Features authentic data from MLB’s StatCast, the state-of-the-art tracking technology that allows for the collection and analysis of a massive amount of baseball data. The baseball-focused STEM Project Starters challenge students to solve real-world questions, such as “how does stadium altitude affect the number of home runs hit there?”or “how does playing surface impact player speed?”These resources will also be available in themiddle school and high school editions of Discovery Education’s Science Techbook. For more information about Discovery Education’s digital curricular resources and professional learning services, visit www.discoveryeducation.com, and stay connected with Discovery Education on social media through Facebook, follow us on Twitter at @DiscoveryEd, or find us on Instagram and Pinterest.